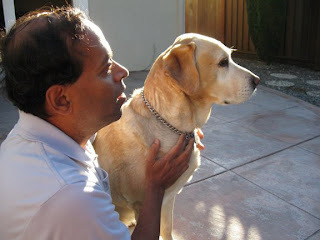 Hubbell and I enjoying the day at our home in California. Please feel free to view my earlier post about accessibility for webmasters, as well as additional articles I've written for the Official Google blog. One of the most frequently asked questions about Accessible Search is: What can I do to make my site rank well on Accessible Search? At the same time, webmasters often ask a similar but broader question: What can I do to rank high on Google Search? Well I'm pleased to tell you that you can kill two birds with one stone: critical site features such as site navigation can be created to work for all users, including our own Googlebot. Below are a few tips for you to consider. Plain hyperlinks are hyperlinks created via an HTML anchor element <a>. Next, ensure that the target of all hyperlinks i.e. <a> elements are real URLs, rather than using an empty hyperlink while deferring hyperlink behavior to an onclick handler. Having discovered and arrived at your readable content, a user needs to be able to follow the content you've put together in its logical reading order. If you are using a complex, multi-column layout for most of the content on your site, you might wish to step back and analyze how you are achieving the desired effect. For example, using deeply-nested HTML tables makes it difficult to link together related pieces of text in a logical manner. The same effect can often be achieved using CSS and logically organized <div> elements in HTML. As an added bonus, you will find that your site renders much faster as a result. Supplement all visual content--don't be afraid of redundancy! Ensure that content communicated via images is available when those images are missing. This goes further than adding appropriate alt attributes to relevant images. Ensure that the text surrounding the image does an adequate job of setting the context for why the image is being used, as well as detailing the conclusions you expect a person seeing the image to draw. In short, if you want to make sure everyone knows it's a picture of a bridge, wrap that text around the image. Add relevant summaries and captions to tables so that the reader can gain a high-level appreciation for the information being conveyed before delving into the details contained within. Accompany visual animations such as data displays with a detailed textual summary. Following these simple tips greatly increases the quality of your landing pages for everyone. As a positive side-effect, you'll most likely discover that your site gets better indexed!